Podcasts are a useful way to keep current on a wide range of topics and interests. Managing a dozen or more podcast subscriptions can often be tedious and time consuming. The podcast manager and player in iTunes is decent, especially if you’re only subscribing to a handful of podcasts, but more advanced players like Instacast for Mac ($19.99) offer greater options for managing, playing, interacting with, and syncing your podcast subscriptions between devices. I included Instacast as part of my top 10 favorite iOS apps for 2011, and when I saw that it was available for the Mac, I didn’t hesitate to download and give it a try. Instacast is now out of beta stage and available for a 14-day free trial download from the developer’s website. Instacasts’s user interface is fairly intuitive, but it includes some less than obvious features you might overlook if you’re a first time user of the application. 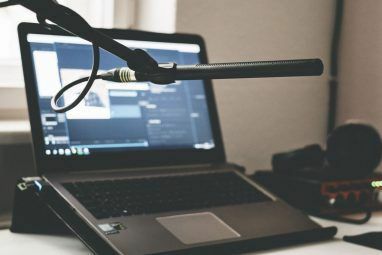 The main setup of Instacast consists of three columns: a list of your podcast subscriptions, downloaded episodes for each subscription, and a larger column that displays notes and other information. Podcast subscriptions can be sorted by title, episode, unplayed, recently played, and favored. Similarly, episodes can be sorted by these criteria as well. Instacast for Mac also includes five different built-in smart folders that keep track of your recently played, unplayed, downloaded, favorites, and most recent podcasts. You can select to either download individual podcasts or stream them to your Mac. The streaming feature is particularly useful if you don’t want to download podcast files on your laptop or Mac that has less storage. Instacast makes it very easy to build your podcast library. It includes search categories for audio, video, and enhanced podcasts. You can search in a wide range of podcast genres, including Arts, Comedy, Music, News & Politics, Technology, and TV & Film, as well as by entering specific URL feeds. Instacast also allows you to preview podcast episodes before you decide to subscribe. The playback features of Instacast are what make it my favorite podcast player. The playback controls are similar to iTunes, but the big difference is that the back and forth buttons in the control panel are not for skipping between episodes, but rather for skipping forward or backwards in a selected podcast. You can skip by default forward or backwards 30 seconds in an episode, but you can change the default times in Preferences, from 5 seconds, up to 10 minutes. You can also increase the playback speed from slower and normal to crazy fast. I use these features a lot for when podcasts hosts meander and go off topic during their program. 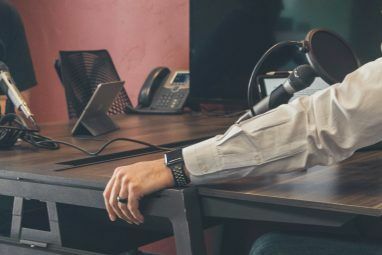 It’s easy to speed up the playback in a podcast and not lose track of an interview and other content. Instacast also includes a feature similar to the iTunes Mini Player and Up Next features for users who might play podcasts throughout the day, or back-to-back. You can select and add different episodes or chapters of a podcast to be played in a particular order. Instacast also allows you to bookmark individual episodes and title those bookmarks for later review. Another highly useful feature in Instacast is that it will replay the last few seconds of content from where you last paused an episode, which actually helps remind you of what part you were listening to. If you have more than one sound output on your Mac, including Apple TV, Instacast enables you to access and select your audio devices right from the application’s control bar. After subscribing to podcasts, you will probably want to spend some time deciding which episodes you want to keep archived and which ones you want immediately deleted after they are played. 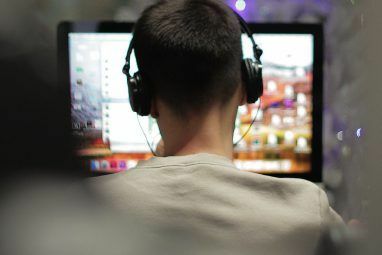 The application’s Preferences includes options for the storage limit of podcasts, the audio downloading and deletion of content, and the total size of downloaded podcasts files to your Mac. You can configure similar management and playback options for individual podcast subscriptions, for example: you may choose to have Instacast automatically delete episodes of a daily news podcasts that could easily take up lots of memory space. Surprisingly, Instacast also includes a robust sharing feature for sending episode links to Pocket, Readability, and even to your Safari Reading List. In addition, you can send links via Twitter and Mail. Instacast for Mac also syncs your bookmarks, subscriptions and episode updates between your devices. However, Instacast for Mac specifically only syncs with Instacast 3 ($4.99) for iOS. The Mac and iOS versions of Instacast now all run on Instacast Cloud, instead of iCloud, which the developer says the latter has a number of issues for third-party developers. So if you’re still running the older iOS versions of Instacast, you will need to pay again for the third version if you would like syncing features. I recommend Instacast for podcast junkies like myself who want lots of control playing and managing podcast subscriptions. While Apple includes a podcast feature in iTunes and offers a Podcasts App for its iOS devices, their features are not as advanced as Instacast. If you’re looking for more from podcasting on your Mac and iDevices, you’ll find it here. Let us know what you think of this third-party podcasts player in the comments below. Macwitty, definitely check this one out. I think you can get a free trial download. The iTunes podcast app just felt limited for me.